On Saturday, 23rd March, the Florentinta Charity Fashion Show took place at Monte Vale d’Eguas Restaurant in Almancil. 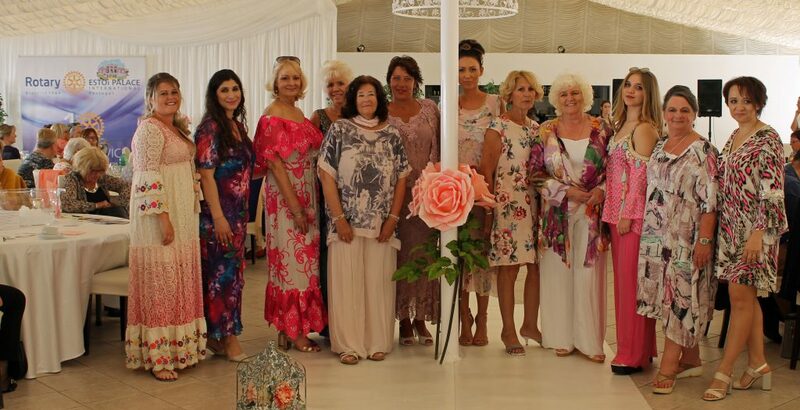 Over 150 people attended to watch our 12 glamorous models strut their stuff and showcase a selection of clothes available from Florentinta. “The Home Centre is relatively new to Almancil and is an Aladdin’s Cave of treasures waiting to be found. It’s a new venture for Florentinta, together with the existing well-established Crown Paint Centre. We are very grateful to everyone who attended or donated to the causes and to our sponsors Avalon Funeral Plans, Sharon Wilson, Marketing Manager Portugal, Mobile: 919224788, email: Sharon.wilson@avalonfuneralplans.pt; Cardoso Drain Cleaning Company, 917207657; and IBC Security, www.ibcsecurity.com email: jack@ibcsecurity.com; and the craft stalls that were also present. The Home Centre, Rua Duarte Pacheco 44, 8135-104 Almancil; 962591016 www.florentinta.com.